Another quiet transfer deadline day for MK Dons - but how successful a window? 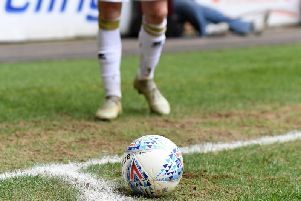 With the chiming of the 11pm bells, another January transfer window came to a quiet close for MK Dons on Tuesday night. Only one new face, that of Cardiff City's Stuart O'Keefe, will be joining the Dons ranks after the hectic, and often panicked final day came and went. O'Keefe, a midfielder with Premier League and ample Championship experience, joins from the Bluebirds on loan until the end of the season. As ever, deals came and went during the course of the day for Robbie Neilson, but with three already signed and sealed before heading into the final 24 hours, the manager can be fairly pleased with how his window went. While the fans will feel the inevitable prang of disappointment that there weren't a whole host of new names and faces to get to know, Neilson's four signings - three on loan and one permanent - could in fact be plenty. Muirhead is likely to play a fringe-role until he beds into the side, Harvey Barnes has already netted twice in two games, O'Keefe is proven calibre at a higher level, while Maecky Ngombo is something of an unknown quantity, but caps for Belgium at U21 level aren't handed out for fun. The biggest shortcoming will be noticed at the back though. With just two fit and recognised centre backs in Paul Downing and Joe Walsh, Neilson's preference to play three in that position could come unstuck, at least until Dean Lewington's ankle injury clears up. So while deadline day was quiet and was only ever going to end in disappointment for hopeful fans, only time will tell whether it has been a success or a failure.